Laser resurfacing can improve skin by minimizing the appearance of facial wrinkles and imperfections. The Icon laser is our preferred choice for lasering because it is suitable for all skin types and ethnicities. With the Icon laser, we offer skin revitalization, skin renewal, scar removal, stretch mark treatment, laser hair removal, skin resurfacing, leg vein clearance, and laser tattoo removal. 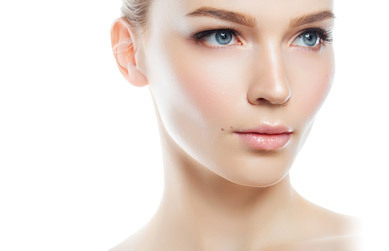 Laser skin resurfacing removes the current layer of damaged skin so that a new layer of perfect skin can flourish. First, our plastic surgeon applies local anesthesia to minimize discomfort. The specialist then moves the laser precisely over the treatment area. The specialist repeats this motion, removing the outer skin layers and uncovering the layer not affected by imperfections. Patients report that the process feels like a rubber band being gently snapped against the skin. Treatment time ranges from a few minutes to an hour and a half, depending on the amount of resurfacing needed. The procedure may take two or more sessions to penetrate deeper areas, but 1 procedure is usually enough. After laser skin resurfacing, common side effects include discomfort, redness, swelling, and moderate irritation similar to a sunburn. In very rare cases, side effects like scarring, burning, or changes in skin pigmentation have occurred. Recovery takes approximately two weeks, during which time the skin heals and a new layer of healthy skin forms, leaving the treated area looking fresher, smoother, tauter, and healthier. Not all patients are good candidates for laser skin resurfacing. The ideal candidate has elastic, non-oily skin that is not prone to scarring after minor injury. Patients with certain skin tones, skin types, and/or medical conditions may face an increased risk of side effects, and may, in fact, experience a worsening result to their facial appearance. 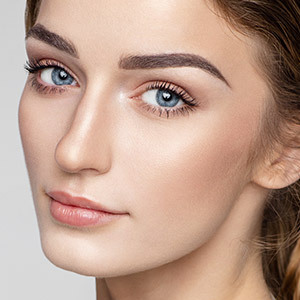 If you’re considering a laser skin resurfacing treatment, get in touch with our well-trained, professional staff in Beverly Hills to learn more. Get started on your transformation today. Contact us today by using a link below or call 310.271.5954.